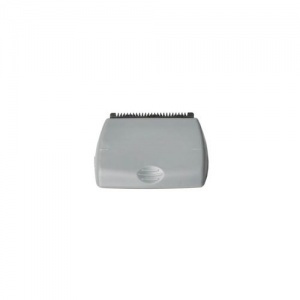 The Medline Cordless Surgical Clipper Blade is an interchangeable blade attachment. It is easy to attach and remove, preventing clinicians from having to touch the blade. The Surgical Clipper Blade comes in a universal style that can be used on the whole body for the majority of surgical hair removal needs. Wet clipping can be performed with the blade in order to minimise hair dispersal. The Medline Cordless Surgical Clipper Blade is usually dispatched via First Class Royal Mail and delivery should be within 1 to 3 working days.